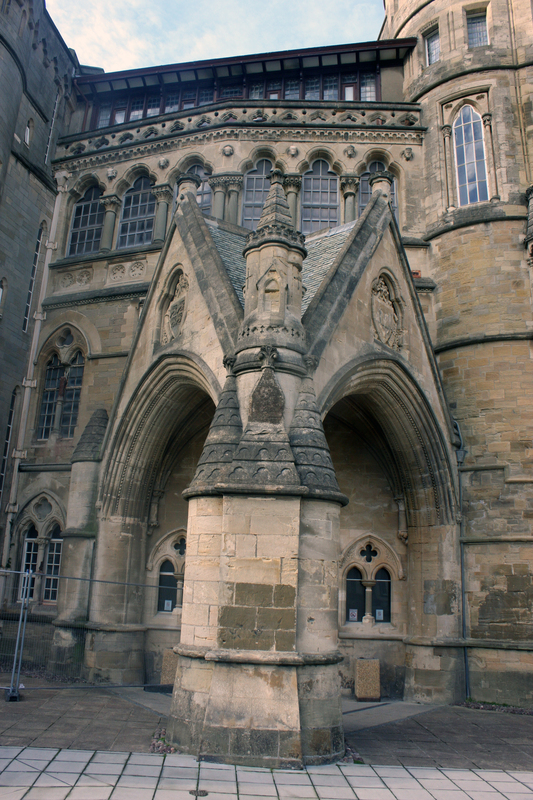 Wessex Archaeology Wales has undertaken a photogrammetric survey of The Old College, Aberystwyth, one of the town’s most striking buildings. A total of 222 photos were taken with a standard digital SLR, which were then processed to produce a 3d model from which accurate orthographic projections can be taken. The first building on the Old College site was Castle House, designed in the late 18th century by John Nash as a summer retreat for Uvedale Price, famous for his championing of the Picturesque approach to landscape design. This three-sided building was built atop a low cliff directly overlooking the sea. In 1864, the site was developed by the Victorian railway entrepreneur Thomas Savin, who employed the architect John Pollard Seddon to incorporate the house into a larger hotel built in the Early English style. Savin’s intention was for his Castle Hotel to accommodate the many middle class visitors he believed the railway would bring to the area, but having spent £80,000, and with the hotel only partly opened, he went bankrupt in 1866. The following year, the hotel was bought to house a proposed new University of Wales, and Seddon was again employed to undertake the necessary works. When the north wing was gutted by fire in July 1885, Seddon convinced the University that restoration would be cheaper than building anew, and further works were undertaken by Seddon and Coates Carter in 1887–9. At the same time the south range was rebuilt as a science block in a more plain Gothic style, with a circular tower at its end bearing a mosaic triptych, by C F Voysey, showing Archimedes being presented with models of modern technology –a steam locomotive, and a steam ship with its sails also set. 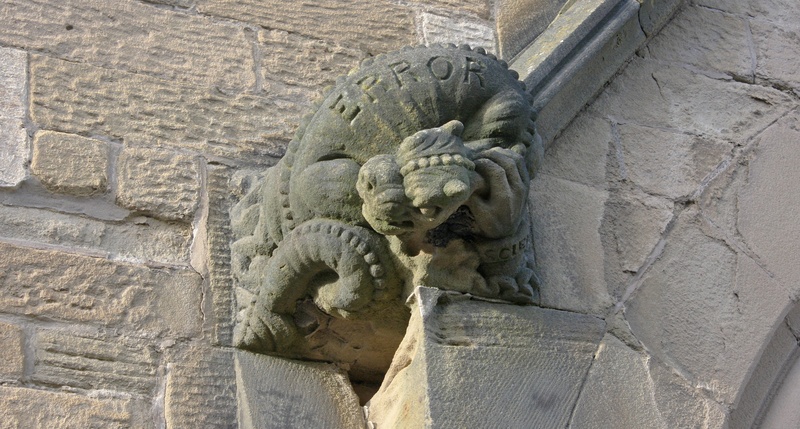 Two gargoyles above a door show Science defeating Error, and Light overcoming Darkness. When the costs of Seddon’s works spiralled he was replaced by Charles Ferguson, who not only completed the works, but then added a four-storey range in the Gothic style, completely replacing the original Castle House. The Old College is still owned by Aberystwyth University, which uses it predominantly for administrative purposes.